Generally, I think that we are all looking for the same thing when considering a case for our Windows phone. How the case fits, how it looks, the protection and durability it offers are the keys to finding the perfect case. Often, though, there are several cases that meet all of those qualities. Cases that set themselves apart by offering unique features are often the best option when you are shopping for that perfect holder for your phone. Ecolife is one of those companies that make its living being fundamentally different than the rest of the market. The Element top case for HTC’s Touch Pro 2 line is made of 100 percent recycled fabric. Now I don’t know anyone who intentionally chooses to do things that are harmful to the planet -- most people just don’t think about it as much as they should. If you’re stuck looking for the best case for your new phone, let me introduce you to an option that will keep your new investment safe, while also investing in the long-term health of the planet that we call home. Being environmentally friendly is great, but it’s pointless unless the case is usable. 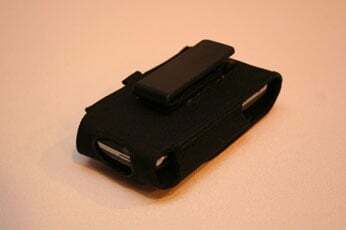 Ecolife designed the Element case to be simplistic and functional. 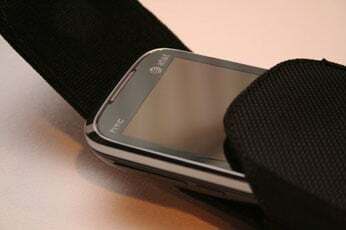 The belt clip on the rear of the case is extremely sturdy, and rotates full circle; locking in place at whatever angle you prefer. 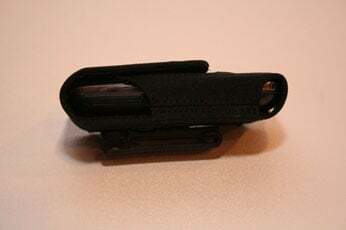 The clip features a small hook on the bottom to prevent the clip from slipping off of your belt accidentally. The top flap is very large, and closes securely using magnets sewn into both the flap and the front of the case. The one and only knock I have is the fact that the magnets interfere with some of the Touch Pro2’s sensors. The stylus and slide out keyboard of the Touch Pro2 trigger an internal magnet that is designed to activate and/or rotate the screen . These features add usability and convenience to one of the best phones on the market. They also get fooled by the larger magnets that the Element top case uses to secure the flap. Just like the Ecolife Element's side case, the Element top case is "Blackberry Ready" and the magnets are designed for use with some of the Blackberry's feature and at times produces unwanted effects with the Touch Pro 2. 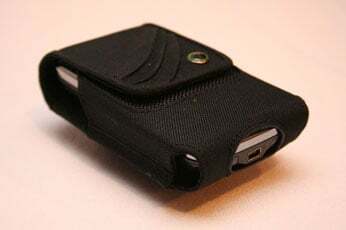 Often, when inserting or extracting my phone I would the screen turn on and sometimes rotate due to the magnets activating the internal sensors. It’s worth noting that this does not happen when the phone is inserted upside down. I’m sure this will be a deal breaker for some people, which is unfortunate because this is really a superb case. Ecolife uses CYCLEPET, which is obtained from recycled water bottles, as the material for the Element case. Style isn’t completely forgotten; Ecolife implemented a series of folds across the flap, giving the case some personality. The closest thing that I can compare to the texture of CYCLEPET is canvas. The interior of the case has a softer finish to it, preventing scuffs and scratches. This combination of fabrics is perfect for a phone case, making the outside durable and the inside soft and protective. 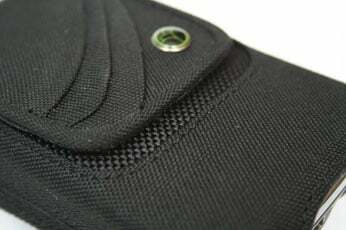 All of the stitching is tight, the flap closure is secure, and the belt clip feels perfect. I am REALLY impressed with this case. Ecolife did an amazing job from all points of view. They realized that it’s not enough to just make a product that is good for the environment; they actually put the thought and work into making it a case that meets every need. The magnet thing is a bummer, but there are ways to get around the problems that arise. I would definitely recommend this case, so head over to the WMExperts store with $24.95 and get yours now.